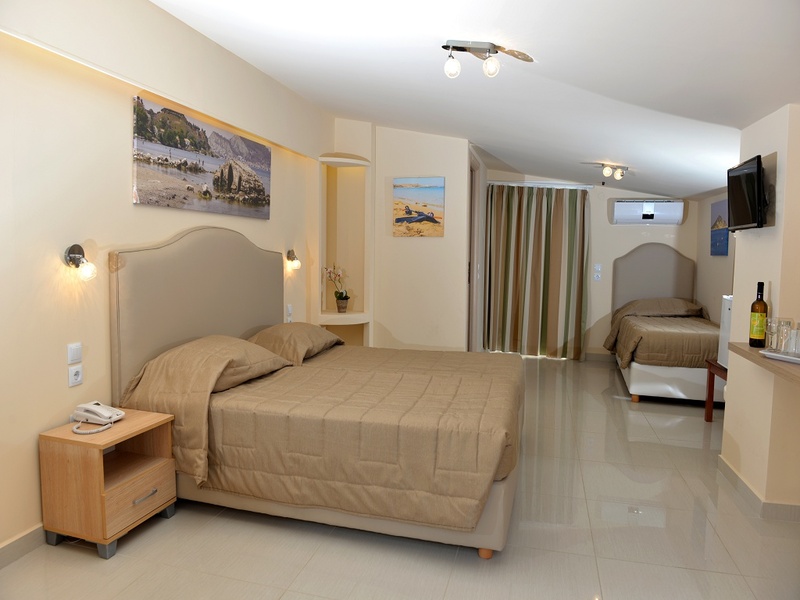 All rooms are equipped with single and double beds. All rooms offer fridge and a kettle, seperate bathroom with shower, hairdryer and WC. Also they provide air - conditioning and TV. Apartments offer kitchenette with fridge and a kettle, seperate bathroom with shower,hairdryer and WC.. A seperate bedroom, and at the other room with sofa - bed for 2 persons. Apartments are equipped with air - conditioning, TV, and a safety deposit box for your valuable things. Moreover they provide a big balcony with outstanding sea and garden view.